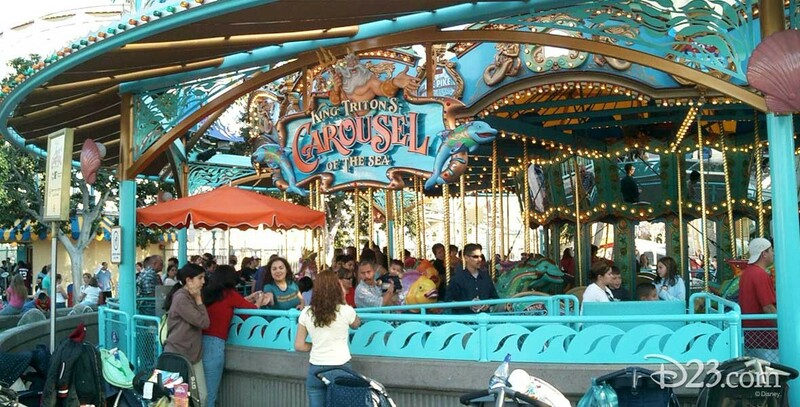 King Triton’s Carousel Attraction at Paradise Pier at Disney California Adventure; opened February 8, 2001. Guests ride on 56 California sea critters—dolphins, sea lions, whales, sea horses, otters, and flying fish. It closed March 2018, to be replaced by Jessie’s Critter Carousel at Pixar Pier.